I absolutely love this idea. When you dress up it’s almost like a game. My mind wonders and I imagine I’m someone else cleaning someone’s room. Characters and stories start to evolve. I finish mopping and I have an outline for a story already. Don’t worry, it’s not about mopping. Well this got me thinking. Where else can I dress the part? 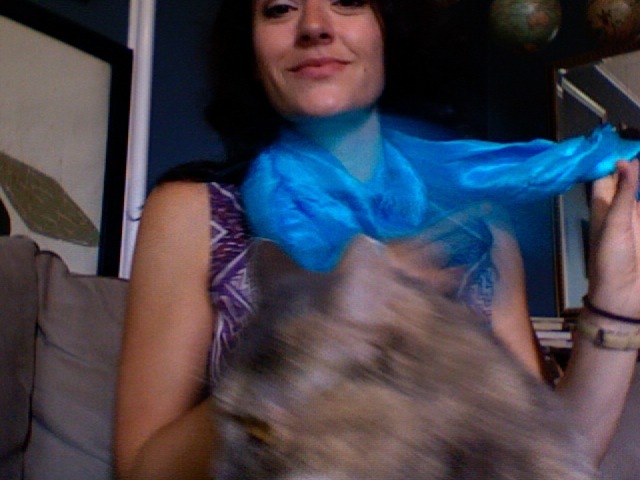 I started wearing this beautiful, blue silk scarf I got in Turkey. This is my magic writing scarf. Whenever I wear it I have to write. Now when I take a break to get some water, I can’t clean the dishes. I don’t want to get my pretty silk scarf dirty. The dishes are just going to have to wait until I’m done being creative. Here is me writing this very blog entry. That’s my blurry cat, Marla, in the foreground. If I make typos it’s because she’s sitting on the keyboard. Now I just need to find a magic red beret to wear when am I’m painting. And a magic cute apron for baking. Too bad my birthday just past. Here’s a link to Jamie Cat Callan’s blog. 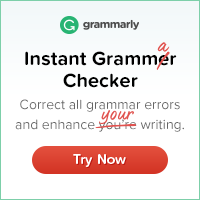 http://frenchwomendontsleepalone.blogspot.com/. This is someone who really follows her HeSo and exudes happiness and confidence!